The Bracket Frames for CU/PU/S4H/S4O have been selling like hotcakes. A few of you who purchased them asked for ideas on using them. 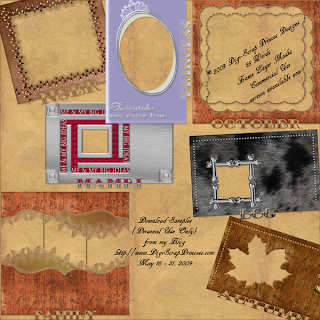 Take a look at the freebie A Beautiful Spring QP below that was posted on 26 May 2009. Jan used the bracket frame with ribbon from A Beautiful Spring kit & other items from A Beautiful Spring to create a beautiful QP. The image on the left is an example of how Jan used the QP. She simply layered a photo behind the QP, then added a title. In minutes, she completed a beautiful page. 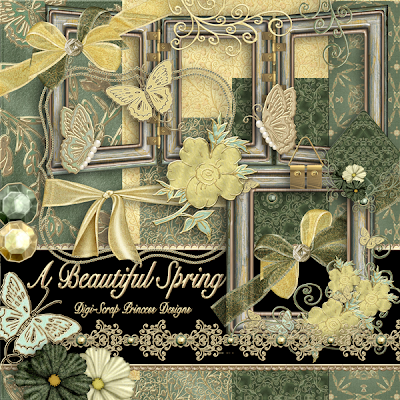 A Beautiful Spring is available at NDISB & SumScrapper. Click Here to Download Free QP. 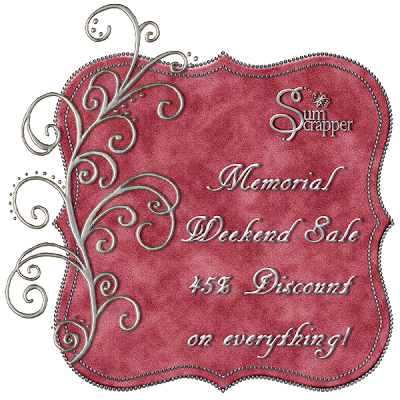 SumScrapper is having a Memorial Weekend Sale. Everything in the shoppe is discounted 45% on May 23rd - 25th. It's Wednesday & that means it's time for another gift from The Princess. This time I have a Journal Shape Text on Path shape #176 for you. This gift may be used for Commercial Use. This zip contains one (1) layered PSD file. 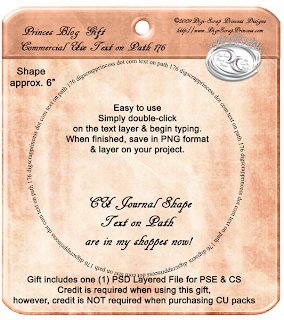 My Journal Shape Text on Path CU items are available at NDISB & SumScrapper. Please leave a comment & let me know what you think of the gifts. Click Here to Download CU TOP 176. I have just released some of my 25 Words Layer Masks at NDISB & wanted to share samples of completed projects with you. 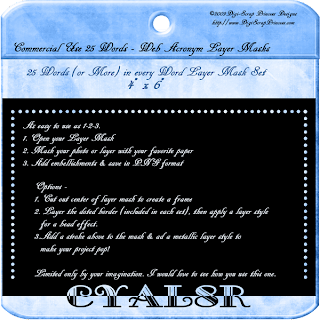 Each package of the CU 25 Words Layer Masks contain a minimum of 25 Word Masks/Frames (4" x 6") & some contain up to 35 or more pieces! Each pack also contains at least one (1) completed project as an example. Click Here to Download the Personal Use samples. Please credit Digi-Scrap Princess Designs when you use the PU samples. If you like the samples, I would appreciate feedback via comment on my blog. Link will remain active for a limited time, so hurry to download the gifts. Wednesday is FREEBIE day & you're in luck this week. I am releasing three (3) gifts for you today. 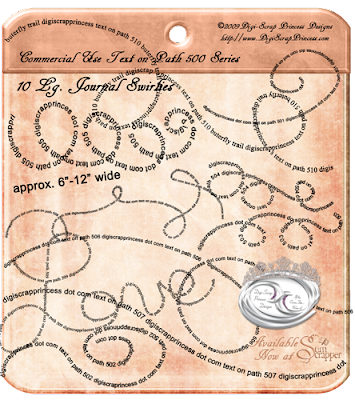 Lella has created a QP using one of my latest CU products - Text on Path Journal Shapes Series 100. The black arrow is NOT part of the QP... it merely draws your attention to the double heart she used from the kit. Click Here to Download Lella's Gift. Our 2nd & 3rd gifts are from Andrea & Diane. They have each created a bookmark using Charity (this mega kit will be available next week). 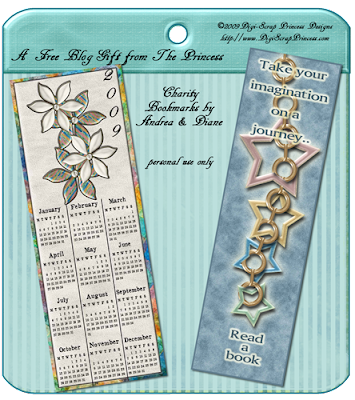 Click Here to Download Andrea & Diane's gifts. 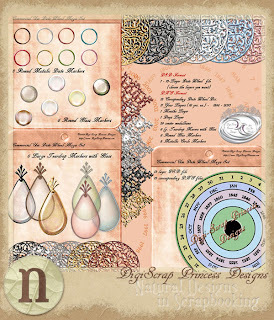 Thanks Lella, Andrea & Diane for sharing with the digi-scrap community! Links will be available for a limited time, so hurry to download the free gists. While you're downloading, leave a little love for Lella, Andrea & Diane via comment to thank them for their generosity. I started these earlier this year & have finally packaged them for release! 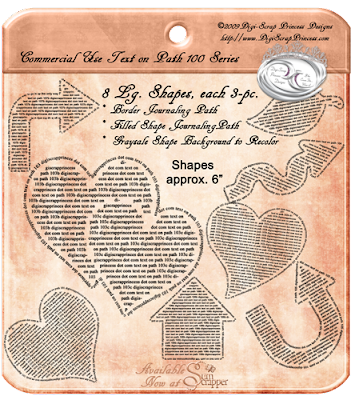 Let your creativity soar with my Text on Path Journaling Shapes. Tested in Photoshop Elements version 4 & above and Photoshop CS2 & above. Credit is NOT required, but always appreciated. TOPs must be edited & saved as PNG before including in your PU kits for resale. Example of editing would be to change the text layer(s) to a quotation & save as PNG. These items are available at SumScrappers & NDISB. Text on Path Journalling Shapes Series 500 - Doodles. Use them for butterfly trails or anywhere you want to add a lot of fun! Text on Path Journalling Shapes Series 150. 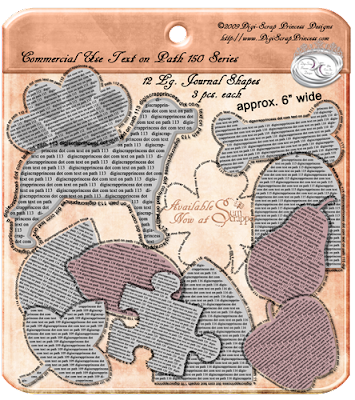 The second series 150 contains twelve (12) layered PSD files that include one each: dog, bone, paw, pear, apple, lemon, leaf, clover, puzzle piece, teardrop, round arch & pointed arch. Each 3-part PSD file includes the outer border TOP, filled shape TOP & a grayscale shape. Use one layer or all 3. Text on Path Journalling Shapes Series 100. Contains eight (8) layered PSD files that include 4 arrows, 2 single hearts, 1 double heart, 1 leaf. Shapes are approx. 6”. Each PSD file contains 3 layers – Shape Border Text on Path, Filled Shape Text on Path & Grayscale Shape. Use one layer or all 3. Watch my blog for more CU TOP Journaling Shapes coming soon! THE ULTIMATE DATE WHEEL CU PACK! 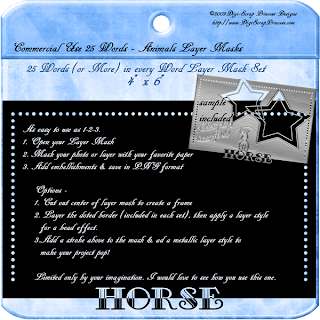 This package contains everything you need to create date wheels for your scrapbook kits. 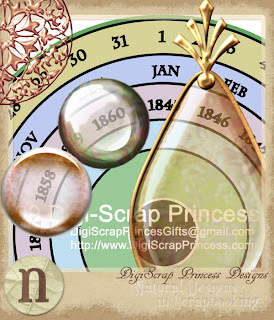 There are 13 pieces to the Date Wheel Background – use 3 layers or all 13! So many options – crop the background pieces from your papers or add layer styles. Once you're satisfied with the background, open the dates (year layer, days layer & months layer). Add one or two center medallions (mix & match for a unique effect), then add a set of date markers to your kit & you're set! Credit is NOT required, but always appreciated. 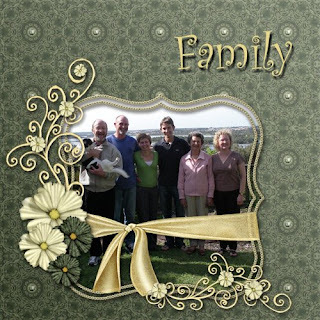 Creative Team Member Lella has created this beautiful greeting card for you using my Elizabeth Collection kits. Thanks for sharing your talents with us Lella. 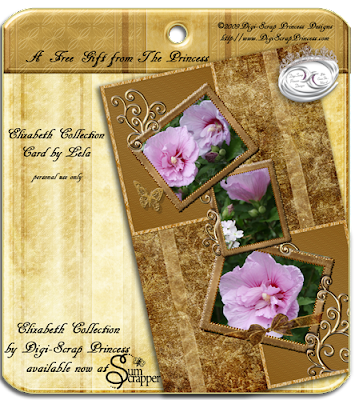 The Elizabeth Collection Part I & Part II are available at NDISB. Click Here to Download. Link will be active a limited time only, so hurry to download your gift. We would love to hear your comments on this gift via blog comment.